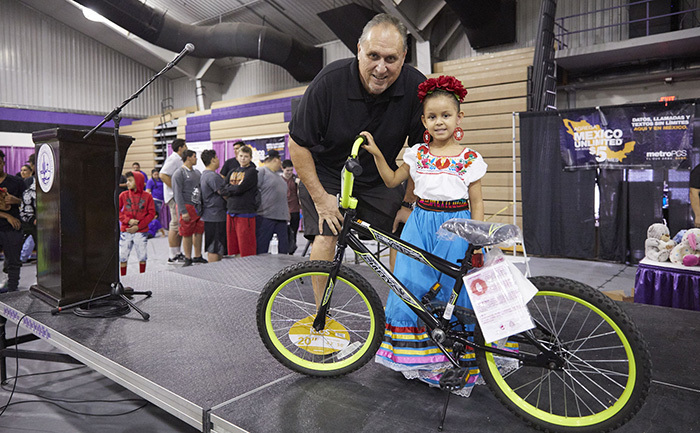 Ray Arvizu, who played on GCU’s national championship basketball team in 1978, presents a new bike to Tiana Garcia on Saturday during the Ninos Seguros Back to School & Safety Fair. 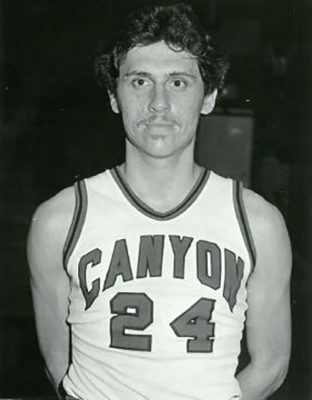 Ray Arvizu in his playing days. Phoenix was in awe of Ray Arvizu in the late 1970s. 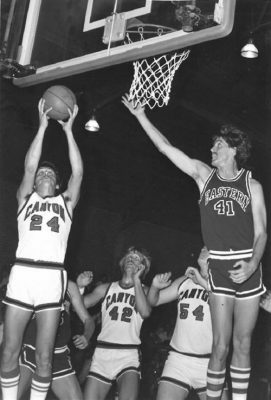 He was the Hispanic community’s shining star on the hardwood, having led Grand Canyon University to a national basketball championship in 1978 before trying out with the Suns, Kansas City Kings and San Antonio Spurs, and ultimately becoming the Mexican national team’s highest-paid player in the 1980s. But Arvizu wanted to be more than just a sports icon for his community. He wanted to make a lasting impact, not just be a generational talent. Arvizu dove right into not-for-profit outreach in Phoenix. But 14 years ago, he and the late Robert Ortiz organized an event that has been providing thousands of children from diverse backgrounds with school supplies and safety lessons. 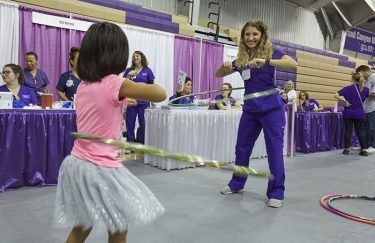 On Saturday, the annual Ninos Seguros Back to School & Safety Fair was held in GCU’s Antelope Gymnasium. Arvizu’s team gave away 2,500 backpacks stuffed with supplies and provided an outlet for cultural dancing and safety presentations. There was also a raffle for four laptops and bikes. Arvizu and Ortiz started Ninos Seguros in response to a rash of drownings in the community, and it has blossomed into the multi-faceted event it is today. Ray Arvizu goes up for a shot. The event wraps the gym in booths that provide resources for the families in attendance. There is a stage where the safety presentations and dancing take place, and a line to the stuffed backpacks that snakes through the middle of it all. GCU’s College of Nursing and Health Care Professions has been at Arvizu’s event every year. More than 15 people from the college were helping out Saturday. Nursing senior Lori Goldsmith was among them, passing out packets on exercise and healthy eating. Her colleagues to her right were checking children’s blood sugar, blood pressure and measuring their body mass index to get them thinking about being conscious of their health. Connie Colbert, Director of the Canyon Health and Wellness Center, has attended Ninos Seguros for the past four years. She said a great aspect of the college’s free checkup is if a child’s test shows something concerning, there are resources at the event that can step in, such as the Native health booth. GCU nursing student Alex Bakker hula hoops with a girl at Ninos Seguros. Arvizu says he’s grateful to GCU for its support of Ninos Seguros. He says the transformation of his alma mater has been breathtaking, and he looks forward to continuing a working relationship.